Three times a year the boys are part of the Joint Learning Sessions (JLS). These sessions are a time when homeschooled students and those who are taught in a classroom at a learning cooperative are taught together in the classroom. This time is coordinated by a parent committee and requires much parent participation. The April session had many offerings for the students. 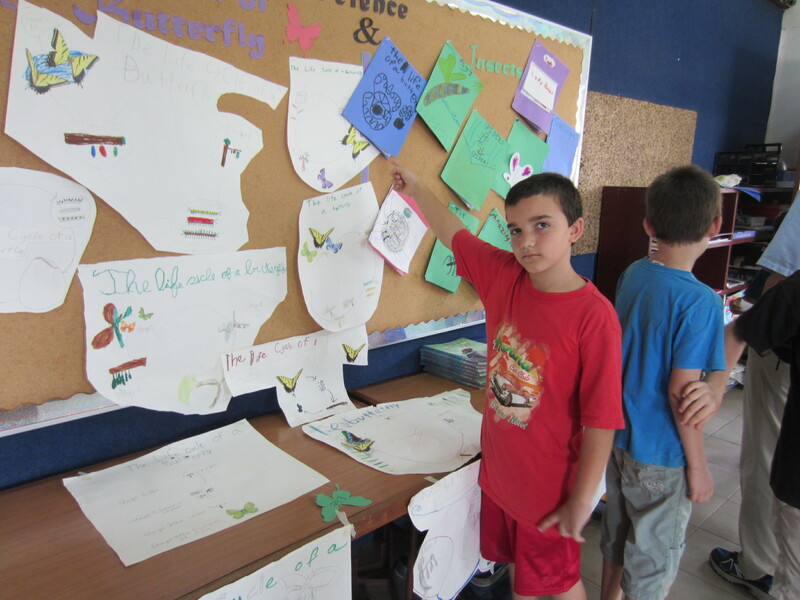 Every afternoon the students played baseball, had music class and worked on drama. It was three exhausting weeks for the parents and students, but it was worth it. 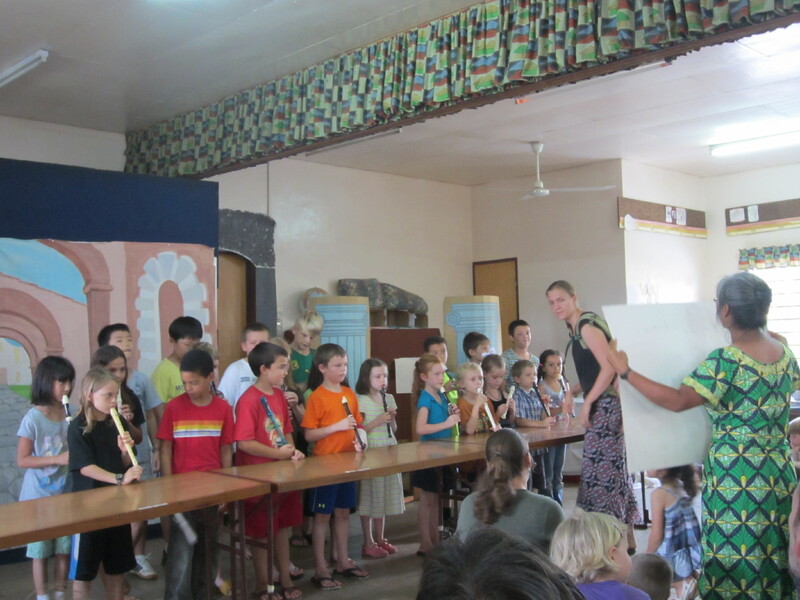 All the students had one week of hand bells, one week of learning the recorder and the last week each student was given the program assignment of playing either the hand bells of recorder. Both of our boys were chosen for recorder. During the session, Joshua said he didn’t like drama or music much. This wasn’t a big surprise to us because he’s usually a bit more timid and he’s more introverted. 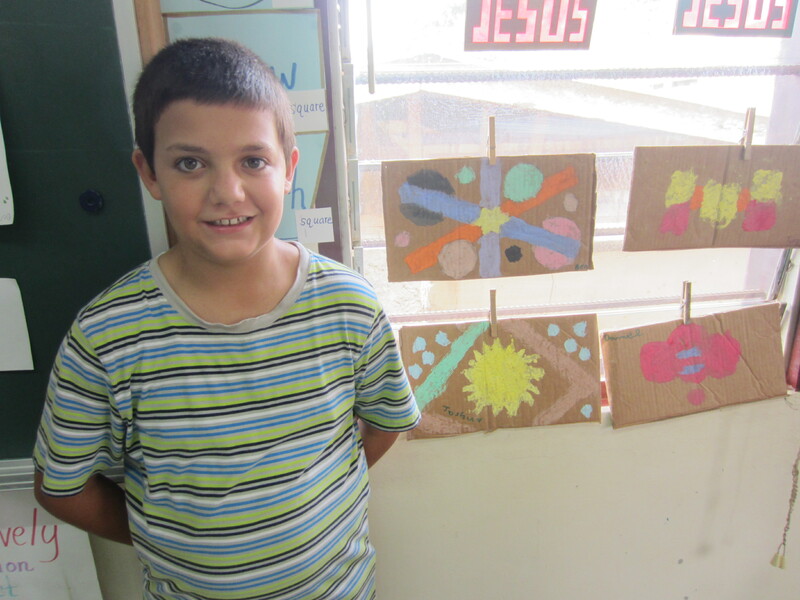 Towards the end of the session, he shared that he wants to continue learning the recorder and truly enjoyed drama. 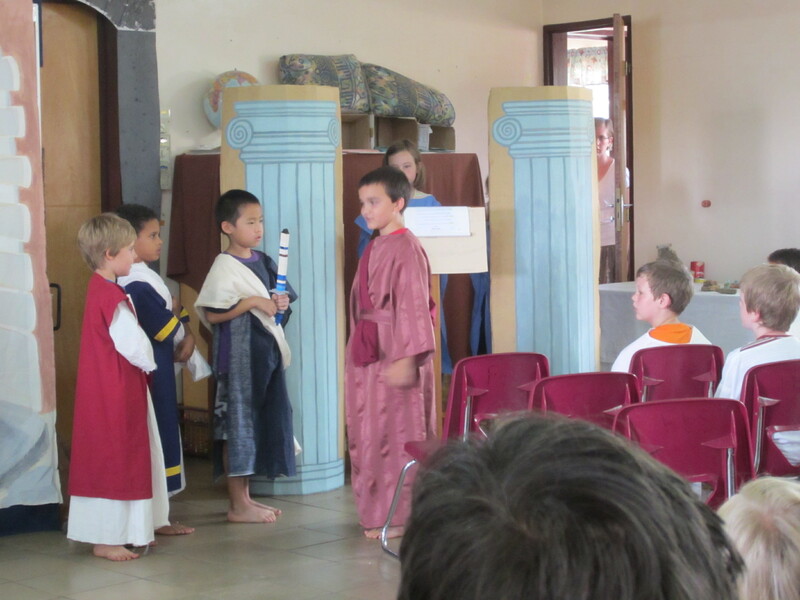 The drama production was Julius Caesar. 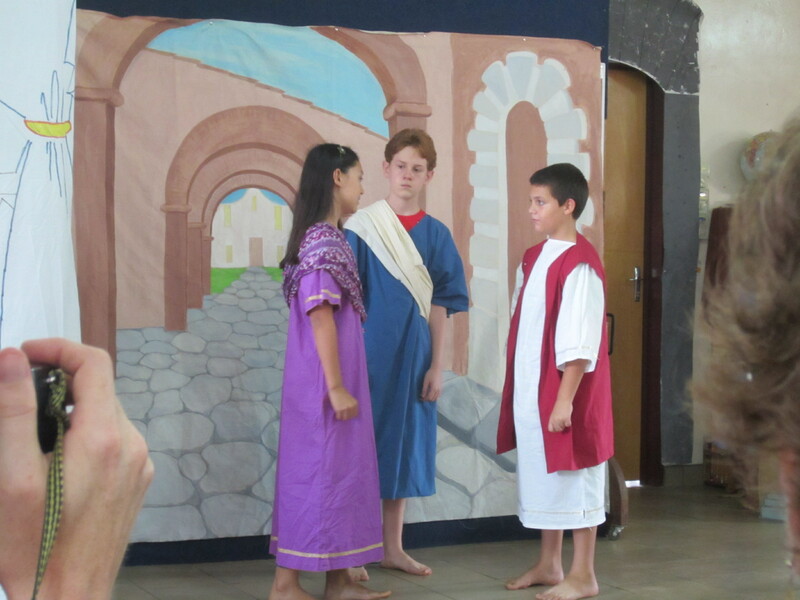 Joshua played Brutus and Jonah played Mark Antony. The closing program was a proud time for all parents. We are very proud of Joshua and Jonah. This entry was posted in Cameroon, Kids and tagged Cameroon, drama, JLS, Music, Recorder. Bookmark the permalink. And we are very proud of all of you. Tell the boys we said congratulations on a job well done. How fun! And, they found new interests! !